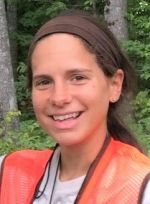 Jenna joined the Mason-Lake Conservation District in May 2018 as the Outreach Coordinator for North Country Cooperative Invasive Species Management Area (NCCISMA). As Outreach Coordinator it is Jenna’s responsibility to help promote invasive species management in a six-county area of Michigan, including, Lake, Mason, Mecosta, Missaukee, Osceola, and Wexford. The duties of the job involve administering outreach programs for the schools in the region, where she conducts presentations, walking tours, work days, and training to report invasive species. Jenna also promotes invasive species awareness in all six counties by coordinating public outreach events at rest areas, campgrounds, boat launches, and ORV trailheads. In addition, Jenna develops educational publications such as posters, brochures, and quarterly e-newsletters which are distributed to the public. Jenna was raised in northwest Michigan where she learned to appreciate the outdoors. She attended Grand Valley State University, pursuing a degree in natural resource management, and a double minor in environmental studies and biology. After graduating in April 2015 Jenna spent two years in the job of crew lead for the non-native invasive plant crew on the Huron-Manistee National Forest. Afterwards she accepted an AmeriCorps position where she served at the Cadillac Department of Natural Resources (DNR) for ten months. In that position she worked throughout the state as a forest health technician; helping private landowners and state organizations diagnose tree disease and forest pest issues. Following her AmeriCorps service, Jenna remained at the DNR as a forest health employee for 6 months.